Vst Plugins are essential tools for (sound effects producers/music producers), who use a pc… (Personal computer or Macintosh) based virtual SFX/music studio. (When I refer to pc... I mean pc or mac... As a Macintosh is a personal computer also). Plugins are virtual music instruments (Vsti`s), or effects software (Vst Fx). These are loaded (plugged) into a host program such as Cubase Vst or Pro Tools... Also known as Daw (digital audio workstation). 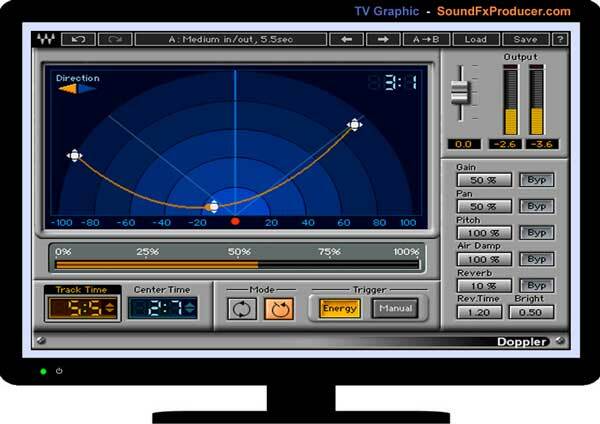 Vst effects and instruments are quite easy to learn and use. They rely on vst (virtual studio technology) to work. Many software and hardware equipment manufacturer`s support vst, and obtain a license from Steinberg (German producer of musical software and equipment) to build their devices around the technology. I like the fact that plugins allow you to save pre-sets, (a saved set of the controls that you have adjusted). Magically recall these exact settings by clicking on your pre-set from the list. “Wow… Every button, switch, dial and slider just went back to… exactly the way I had them set earlier”. This trick allows you to switch projects mid-way through, go back later and start again exactly where you left off, with total/instant recall of all settings. ﻿ The pre-sets can be saved individually, or as a bank (multiple pre-sets stored in a list), using very little memory. Total/instant recall can also be achieved in digital hardware (ex…digital mixing consoles with motorized faders). A lot of plugins are original (designed from scratch and not based on an original hardware device). This means expensive tests to try and get the exact sonic signature of the original hardware device is not required. Although a lot of work still goes into making them, the cost is offset by mass production. High end VST plugins such as Waves plugins, from Waves Audio (professional audio effects developer), can cost several hundred each. However, if your budget allows it, you will not be disappointed. These are top notch, with a stunning sonic quality that will leave you speechless. I use several waves plugins. They are easy to use and all sound incredible. “Highly recommended”. Easily accessible... They are easy got hold of (downloads etc.). “Save some space”... They will only ever take up the space of your computer and monitor. And if they do come on a disk, once you load it on to your pc/mac, you can put the disk bye, instead of trying to find space for physical hardware. “I`m not getting into a Software verses hardware battle here”. I like and use both. Some effects can be less pleasing to the ear, such as distortion. Computers can crash especially when pushed to the limits. (No pc, no plugin). There are thousands of plugins/virtual effects available, commercial and freeware. It is therefore almost limitless possibilities when it comes to producing sound effects with them.